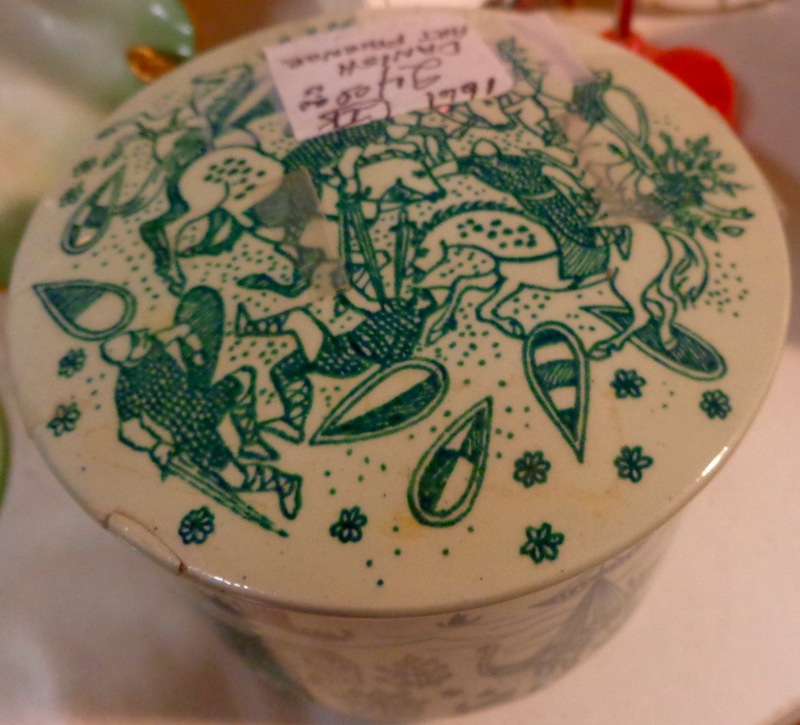 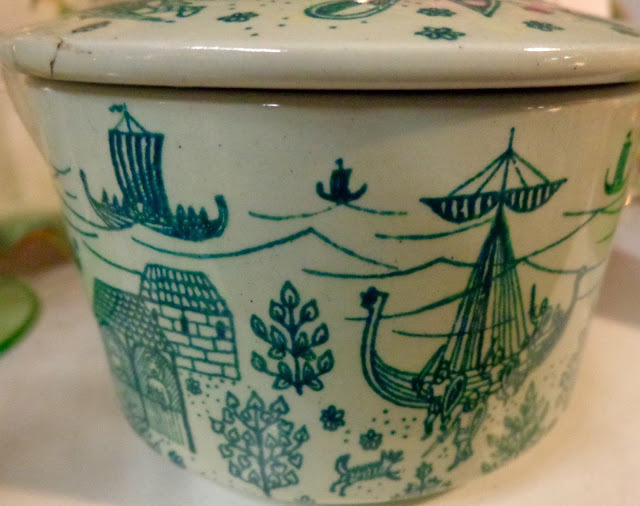 I was drawn to the color and designs of this Danish piece. Fitting, as I was in the middle of the "Denmark" section of my latest read: "The Almost Nearly Perfect People: Behind the Myth of the Scandinavian Utopia." 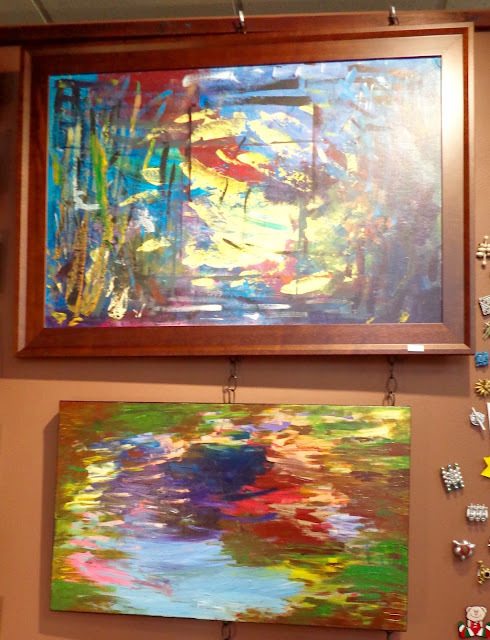 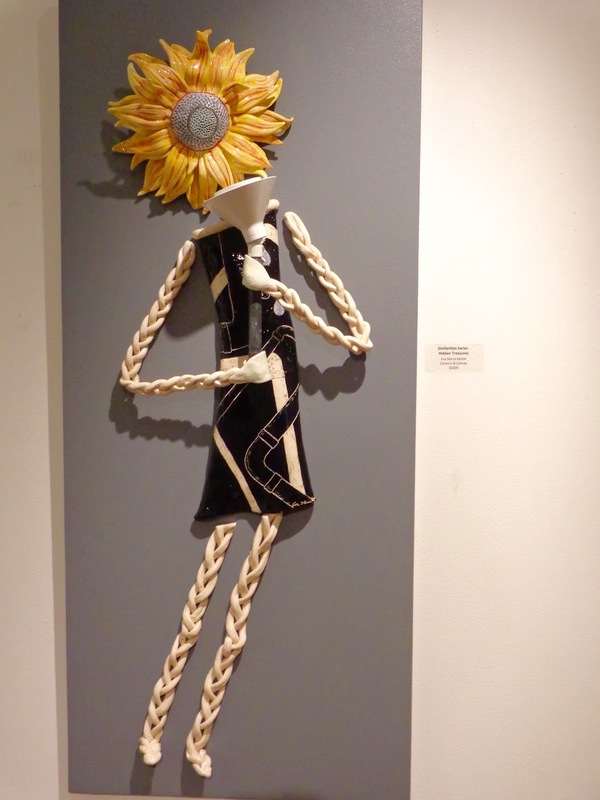 The first floor of The Pump House is currently featuring "CommuniClaytion," an exhibit by artist Eva Marie Restel, which the three of us visited as we waited for the doors to open. In a time of cultural divide which creates stress among people, ceramic artist Eva Marie Restel connects people through her art, which demonstrates that people are similar than different. 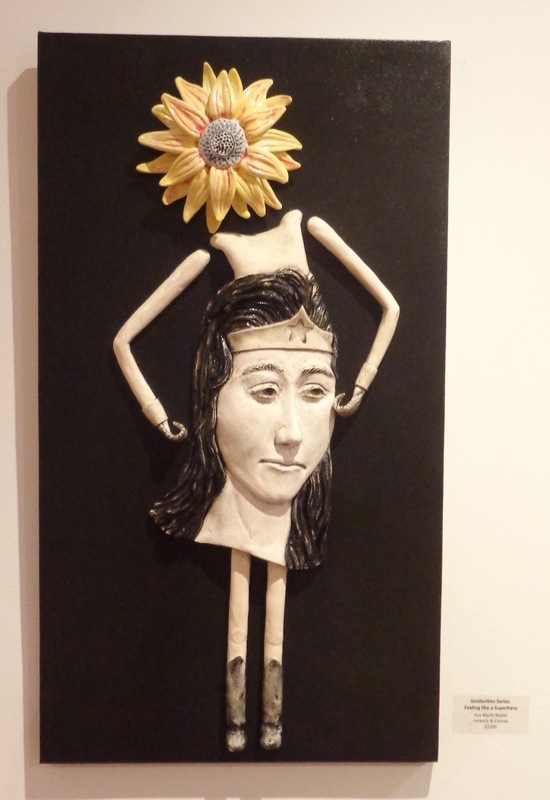 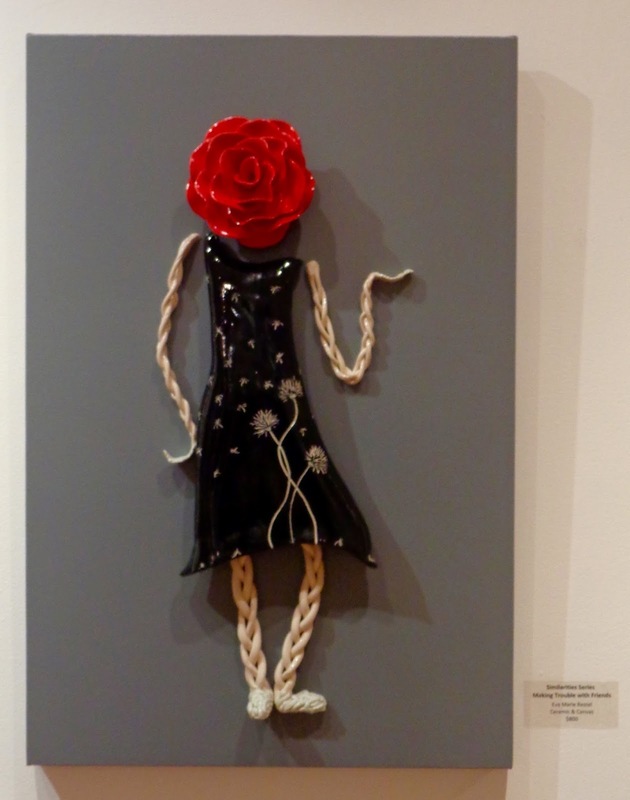 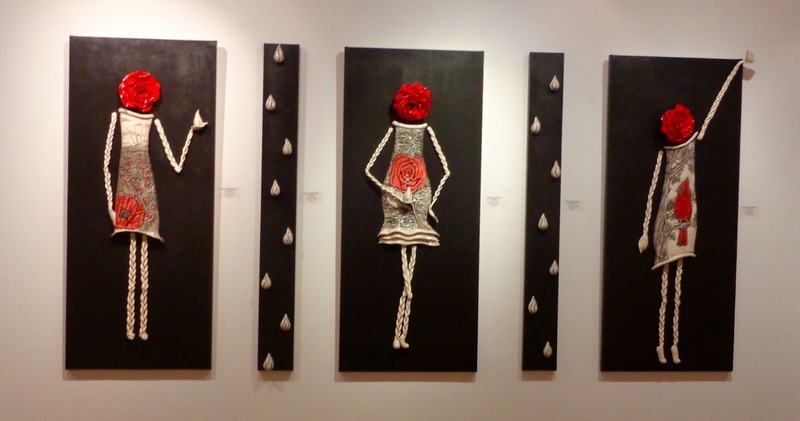 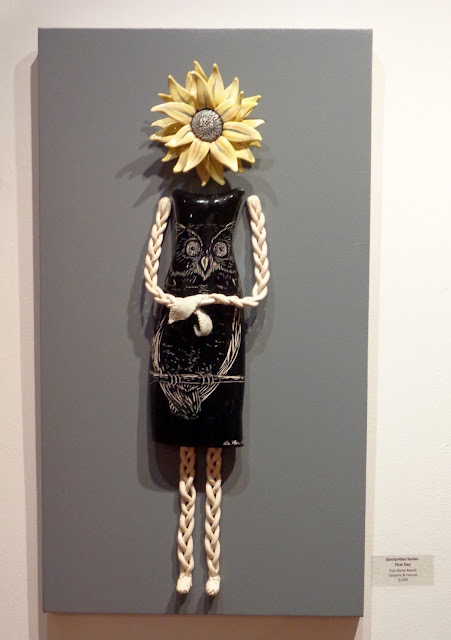 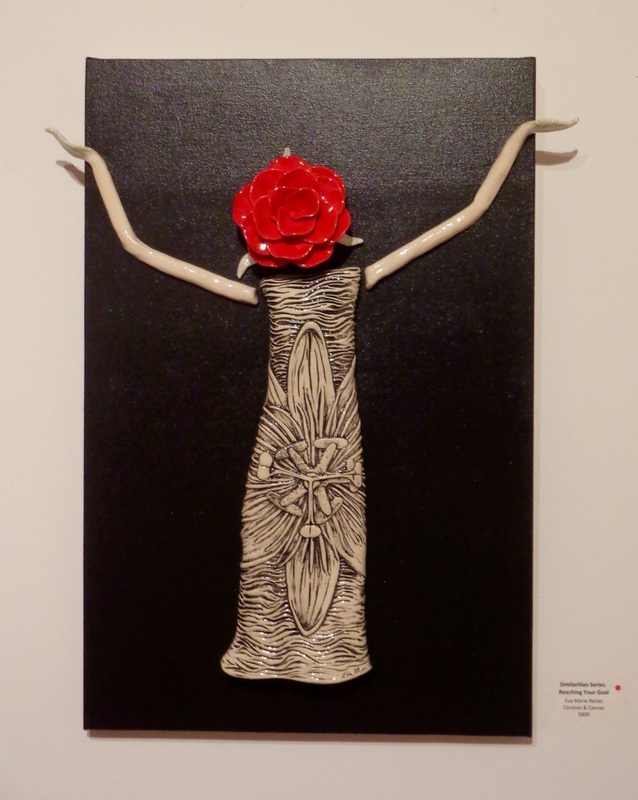 CommuniClaytion is a show of ceramic “Flower People” sharing stories that highlight the similarities people share. This exhibit strives to open conversation across cultures, and create a sense of connection and belonging, so that there may be a greater understanding and kindness among people. What is this "Dark La Crosse" business anyway? 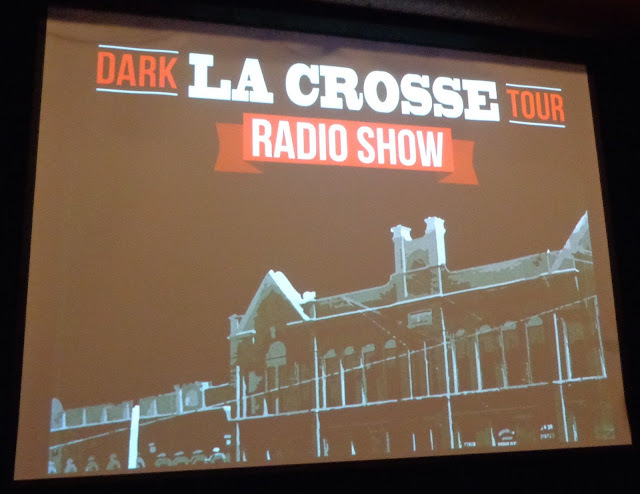 It's a performance put on by the La Crosse Public Library Archives, who have researched "spooky" (read: corrupt, crime-ridden) stories from La Crosse's past. 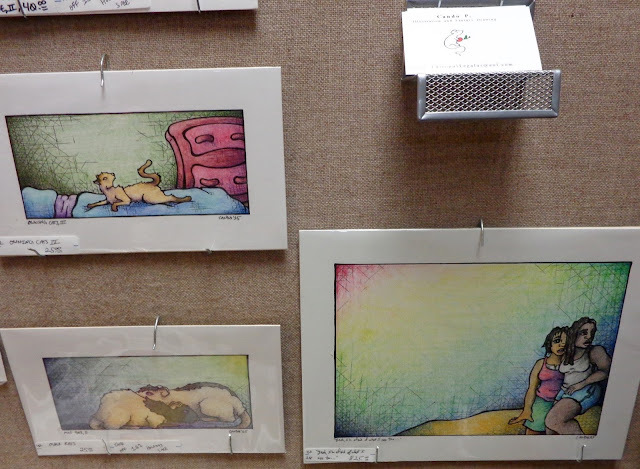 Ten stories are presented in this year's show, all new from last year's premiere. Stories are told through a variety of narration, character monologues, singing, newspaper clippings/images, and live piano music to set the scene. 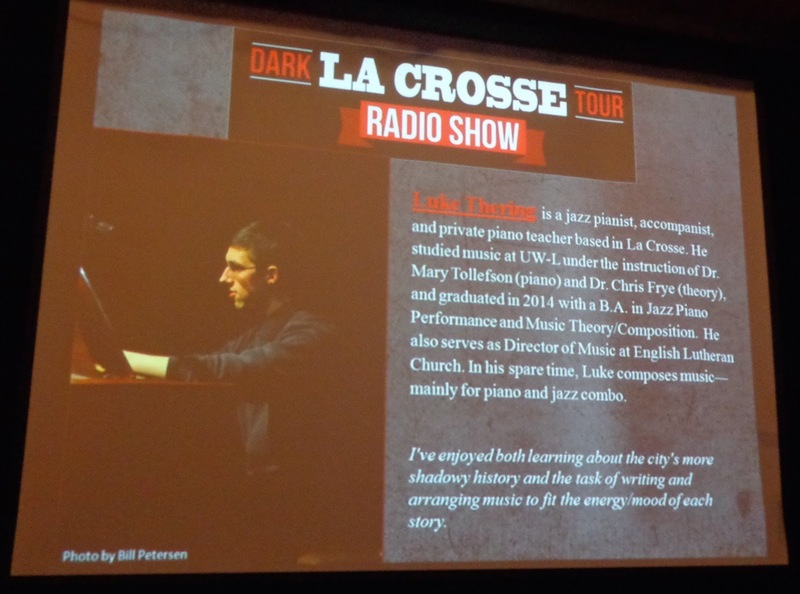 It's my brother Luke who plays the piano in these performances, and more notably, who composed said music for the show. 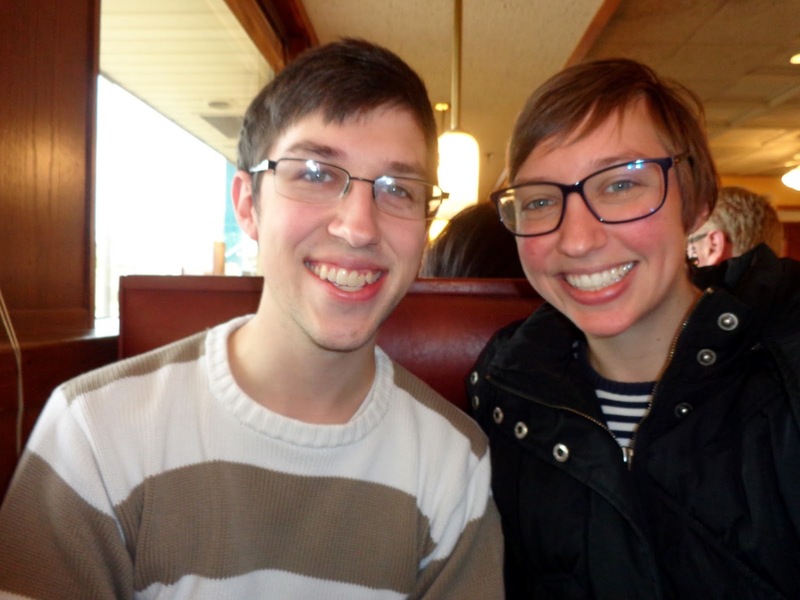 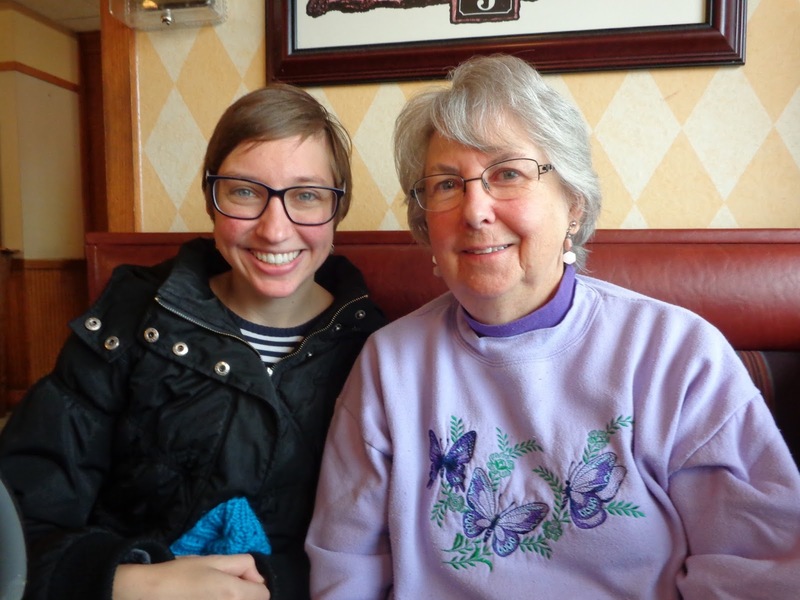 The next morning we all had a great (and deep) breakfast together at Perkins, before Grandma and I headed back towards Madison. On our way back (in addition to two more thrift stores) we stopped at the Deke Slayton Memorial Space & Bicycle Museum in Sparta, Wisconsin. 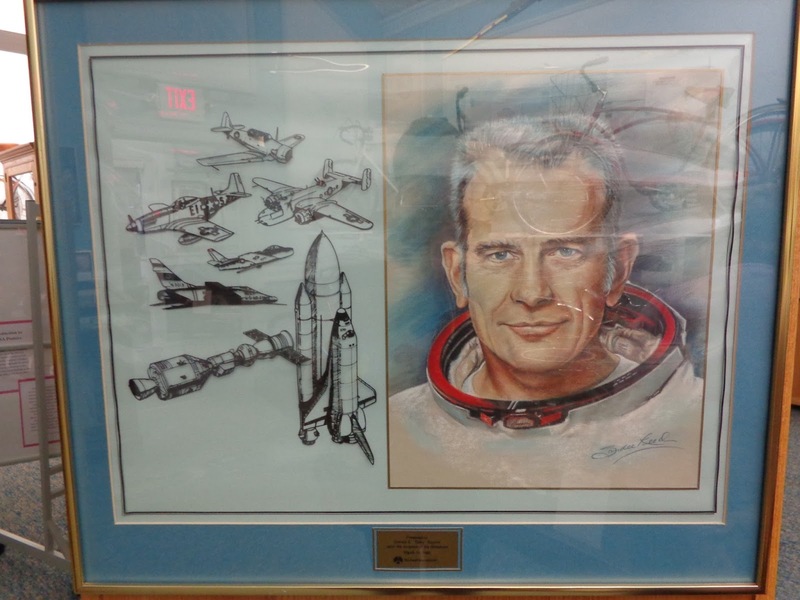 Deke Slayton—who grew up on a farm near Sparta—was selected as one of America's first seven astronauts in 1959. 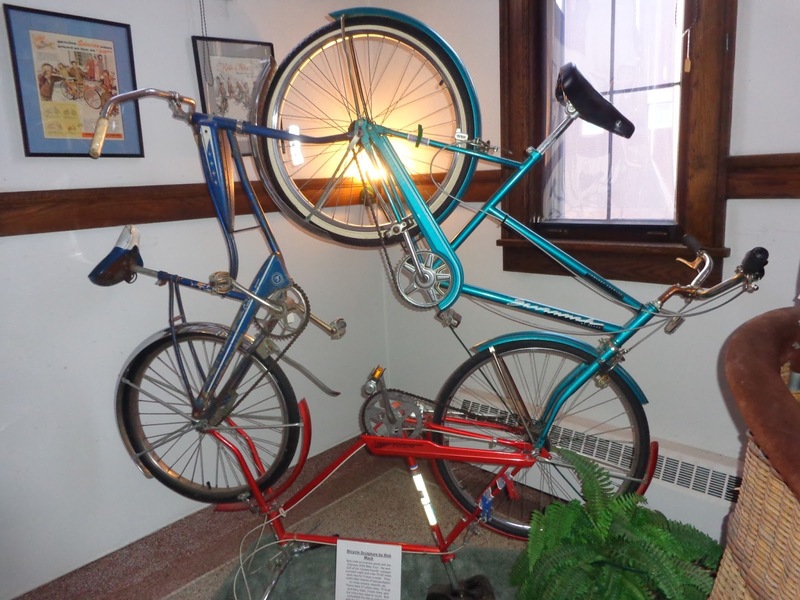 And his sister, Marie Madsen, just happened to be neighbors and friends with my grandparents. 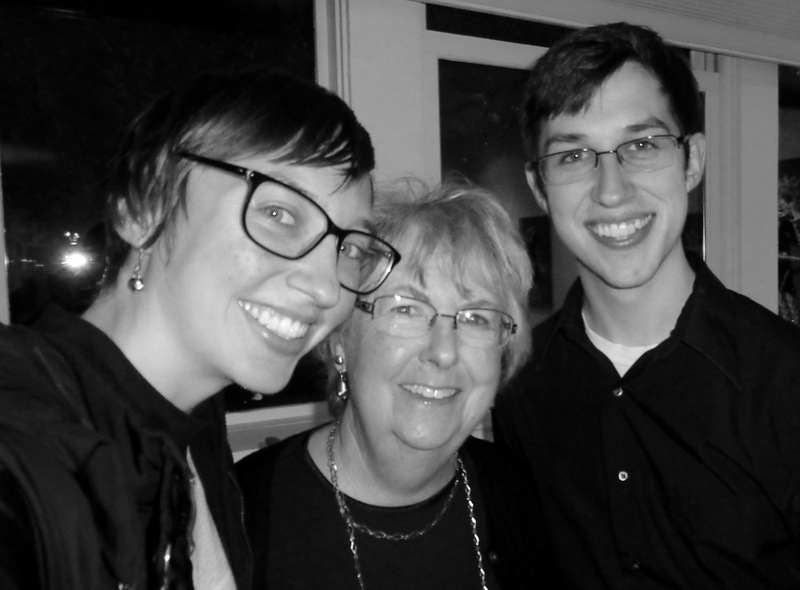 I think she babysat for my dad and his siblings way back when, too. 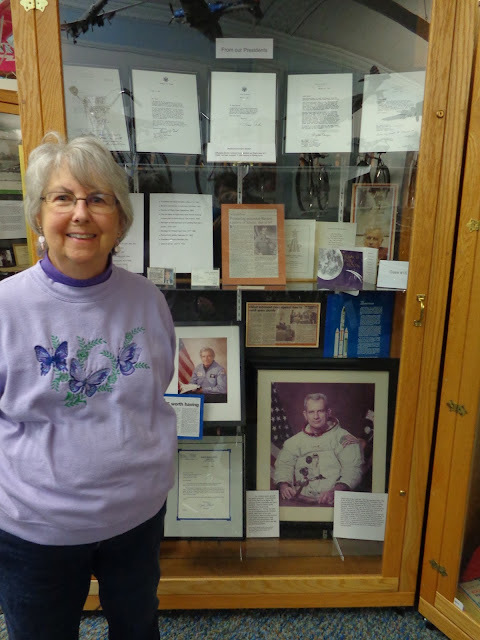 In my Grandma's house there have always been (well, since I can remember) two "old" autographed pictures of astronauts hanging on the wall. But I never learned the full story until this weekend. Turns out my dad's younger brother had liked astronauts, so when he got sick (with an illness that took his life young), Marie contacted her brother Deke, who then sent the autographed pictures and patches from his space suits to him and my dad. 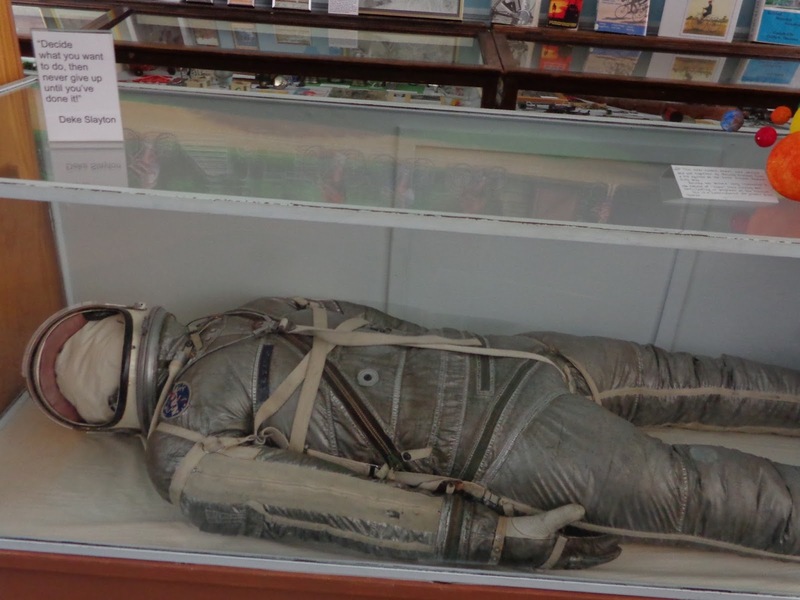 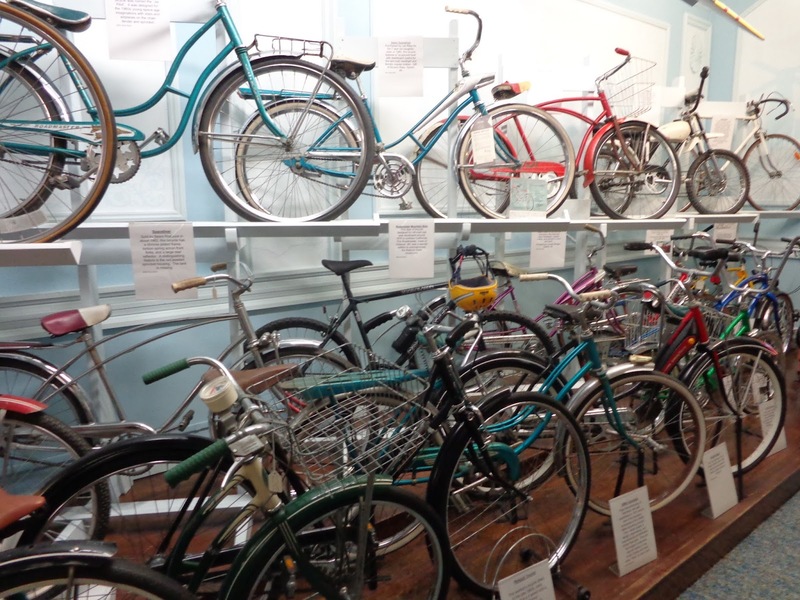 So anyway, in Sparta there's a small Deke Slayton Memorial museum featuring bikes along the outer walls (I'm not sure the relation to Deke, but just that bikes are for some reason meaningful in Sparta...), and exhibits about Deke's life (and NASA work) in the middle of the room.